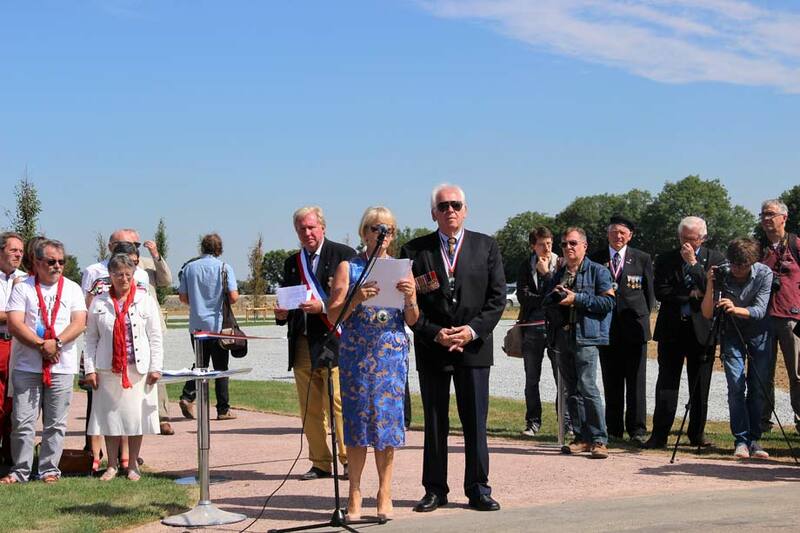 July 9, 2017 – Today, at historic Hill 112 in Normandy, France, 112 hornbeam trees were dedicated as a memorial to those who served in the Second World War. This memorial was spearheaded by the late Albert Figg, a WWII veteran, to raise awareness of and honor the casualties of the battles at Normandy. The 112 trees, obtained from Barcham Trees, were donated and planted at the site in the spring of 2017 by Bartlett Tree Experts. 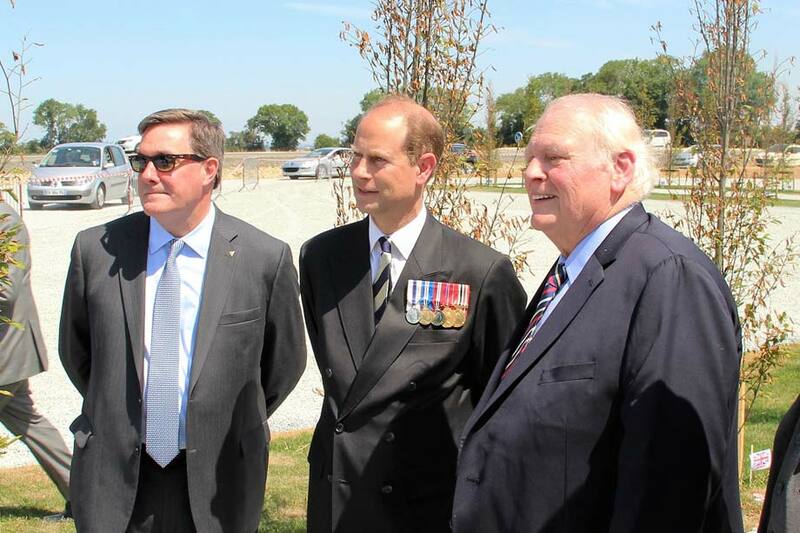 During the dedication ceremony, the statue of an infantryman was unveiled by HRH Prince Edward, Earl of Wessex. Representatives from Bartlett were in attendance at the dedication alongside WWII veterans, as well as Albert Figg’s children Annette Oliver and Roy Figg. The 112 hornbeam trees form the shape of a Maltese cross with an infantryman statue at the center. The 112 trees are planted in the shape of a Maltese cross. The infantryman statue sits in the center of the cross, between the tank and field gun, representing the formation during warfare. Hill 112 was described by the German commander Field Marshal Rommel as the most important hill in Normandy given the vantage point it provided of the surrounding area. Many lives were lost as the two sides vied to take the hill. Albert Figg was just one of the brave soldiers who participated in the fight. 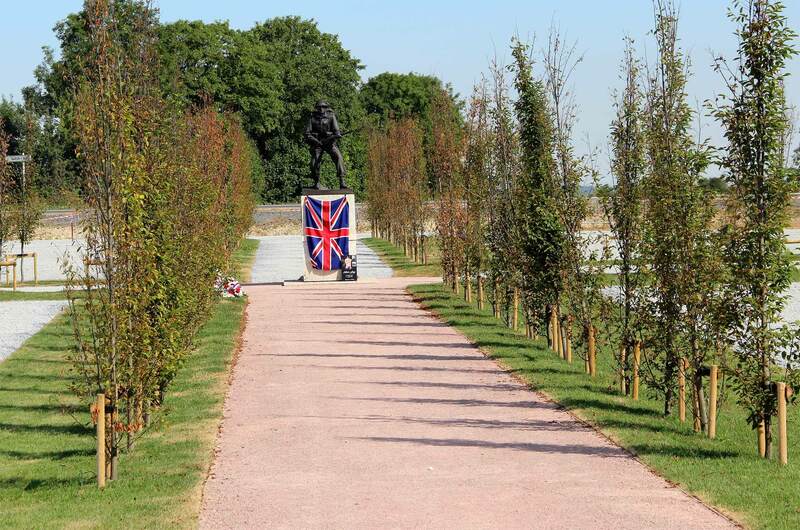 Thanks to his inspiration and efforts, the vision for the memorial has now become a reality. Annette Oliver and Roy Figg, children of the late Albert Figg, speak about their father’s service and dedication to recognizing WWII veterans. 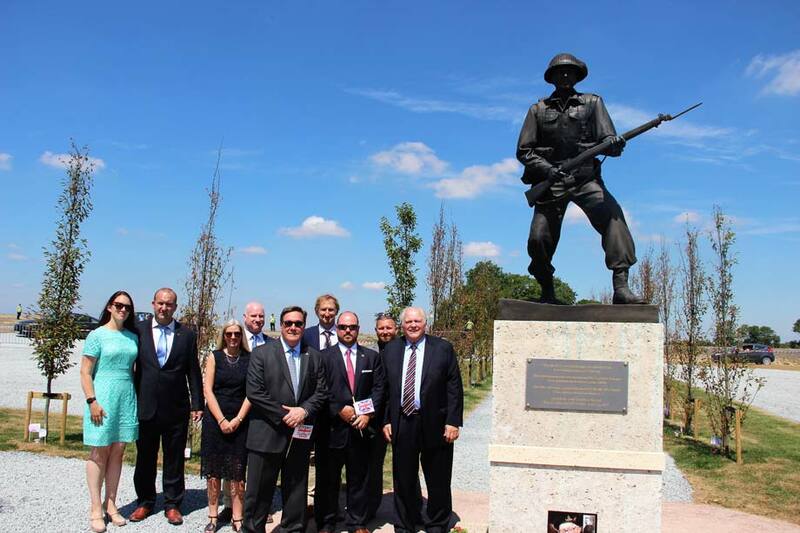 Employees from Bartlett Tree Experts next to the infantryman statue at the Hill 112 Memorial.